Hailing from England's Black Country, named due to the smoke from ironworking foundries in the 19th century, Wolverhampton Wanderers is a club steeped in history with a working class hardness at their core. 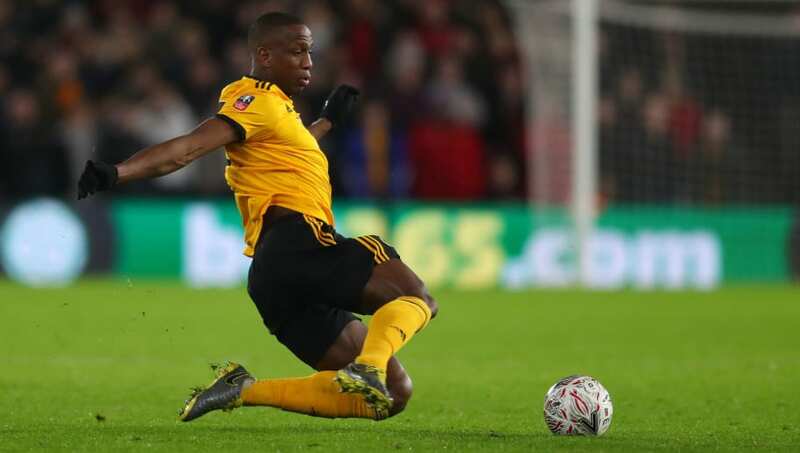 Players over the years have exemplified this very hardness that arouses the Wolves faithful and displays of meaty tackles and full-blooded collisions are commonplace in the famous gold (modern day orange) and black strip. Under the tutelage of Portuguese manager Nuno Espirito Santo, Wolves are back competing in the ​Premier League and their dogged spirit, mixed with international experience, has made them real contenders for European football this season. With a surname like Clamp, he was destined to create a legacy that instilled him as one of the fiercest players in the club's history. During the 1950s, the former ​Wolves and England defender gained the nickname 'Chopper Eddie' for his ferocious tackling and gaining a lurid reputation for his tenacious ball-winning at all costs methods. The Australian was branded "the most hated man in football" by former ​Birmingham City player Martin Grainger and he put Craig Bellamy out for four months with a horrendous tackle during the Welshman's ​Norwich City days. ​Burnley striker Peter Crouch even chipped in with his assessment, saying that in his lengthy career the player that scared him the most was Muscat. Speaking on ‘That Peter Crouch Podcast’, the striker said: "Kevin Muscat scared me. "You know people would say 'I'm going to break your legs' – when he would say it, you genuinely believed him." Born in Wolverhampton, Henry joined his hometown club in 2006 and quickly established himself as a hard tackling stalwart in midfield. In 2010, Mick McCarthy's Wolves came under criticism for their dirty tactics and captain Henry was the main culprit. During that season, the midfielder was sent off for a tackle on ​Wigan's Jordi Gomez which the man himself labelled "atrocious", given a straight red for a tackle on ​Arsenal's Tomas Rosicky and broke Bobby Zamora's leg. Also had a famous spat with fellow hard man Joey Barton, with Barton adding fuel to the fire by calling him Kelvin and accusing Henry of "always sticking his foot in and trying to hurt people." ​Bolton Wanderers vs. Wolves, Burden Park in January 1997, saw two historic clubs collide in the ultimate fashion - with a 21-man pitch brawl. Premier League promotion was on the line for both sides and it didn't take long for the action to boil over when a punching free-for-all broke out after less than five minutes. During the fracas, Wolves captain Bull was in the thick of it and took two uppercuts to the jaw. Later in the game, Bull got his revenge and headbutted Bolton's Gerry Taggart who was left gushing from his forehead with Wolves man only receiving a yellow. Taggart even said in his post-match interview: "that's all part of the game." Got to love the 1990s. What he lacked in size, Rae made up for in presence. The tough Glaswegian was signed from Sunderland in September 2001 and his terrier-like work in midfield had the Molineux crowd singing his name from the terraces. Rae was no shrinking violet, was loved for his tough, bullish exterior and would never shy away from a tackle. Football fans love players they can relate to. Under Graham Turner's management in the late 1980s and early 1990s, this Wolves team had a deep connection with the fans and Westley played a big part in that. They trained on a car park, were paid peanuts and never backed down when push came to shove. Westley embodied that spirit. Now a body builder and personal trainer by trade, the unit of a man was also mental, a brute and someone you wouldn't want to bump into in a dark alleyway. The chant 'Westley, nut the ref, Westley, Westley, nut the ref', was commonplace amongst the Wolves faithful and exemplifies his screw loose character. Also played in the Turner era with Westley and Bull, Downing was nicknamed 'Psycho' by Wolves fans for his appearance and his fierce tackling. The midfielder was a club favourite for his 100% attitude, fearsome battles in the middle of the park and for often putting a foot in. He did damage his legacy somewhat when he moved to rivals Birmingham City. Has been England Under-19 coach since 2016 and with him in charge we can be sure he'll be instilling a fighting spirit in the country's youth setup. Bringing this list into the current crop of players, one that stands out as being a man mountain with a tough side is Frenchman Willy Boly. Standing at 6'4, the imposing defender has been a crucial figure in the back line and prides himself on winning a physical battle. His straight red for a tackle on ​Manchester City's ​Bernardo Silva shows he has a wild side, with the 28-year-old casting a wry look as he loomed over the Portuguese international whilst he lay in a heap on the floor. A product of ​Liverpool's academy, the hardy Scouser has reinvented himself as a centre back and is thriving under Santo in the Premier League. If you want any of the current squad to produce that Sunday league cliche first tackle is the most important, then step up captain Coady - an invaluable asset to have as a ball winning centre half. Coady putting in an absolute reducer to send out a message to everyone that Wolves aren’t going to be pushed about. Brilliant by the skipper. You don't tackle Elokobi, Elokobi tackles you. If Wycombe Wanderers striker Adebayo Akinfenwa takes top spot for strongest man, then Elokobi would be a close second - they even played out a clash of the titans in Akinfenwa's Northampton days. Nicknamed 'The Beast' for obvious reasons, Elokobi admitted that he didn't do extra weights in the gym and even if he did nothing for two years he'd still be a unit.